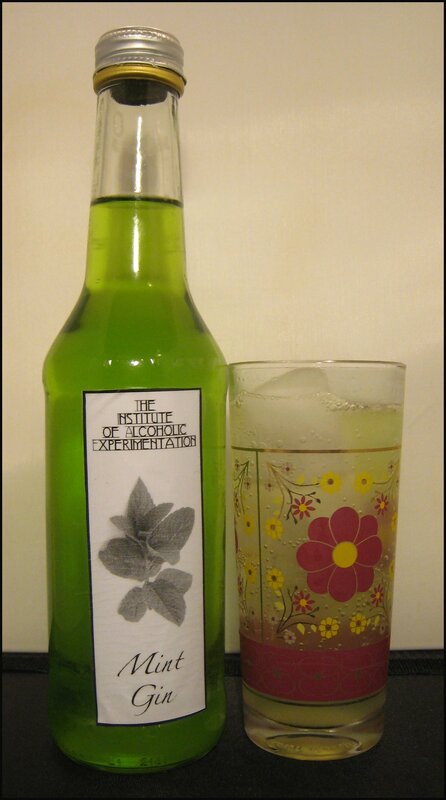 The second oddest Flavoured Gin that I have come across (the oddest one will be featured in two weeks time) is flavoured with mint. This seems to date at least from the 1930s when Old Mr. Boston used to make a bright green version. In the 1980s, Gordon’s were making a Spearmint Gin and, today, Baffert’s still make a mint version of their Classic London Dry Gin. My homemade mint gin was simply an infusion of mint and gin, although the colour is not solely from the mint. 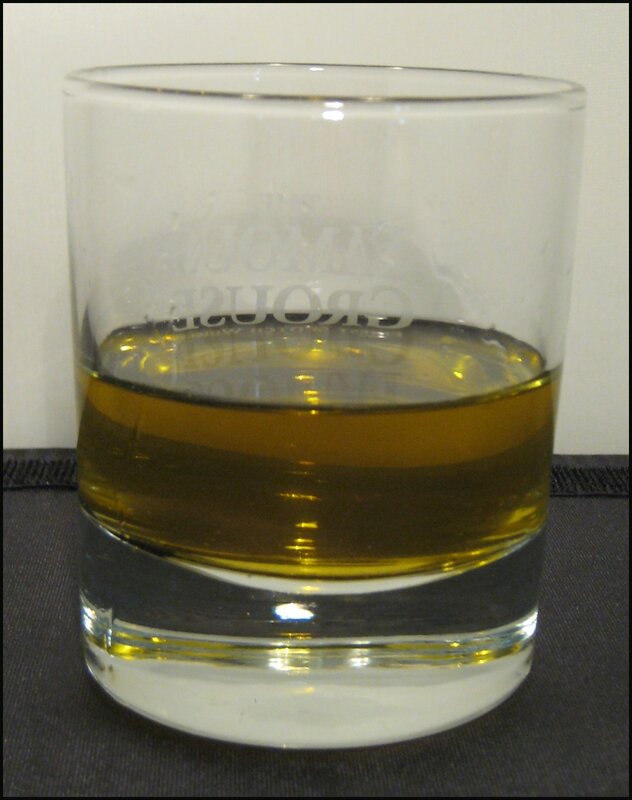 As the infusion contains no chemical to fix the colour colour, it would quickly turn brown and as the old Mr. Boston was obviously dyed it seemed authentic enough to follow their lead. I’ve not tried the Baffert’s Mint and I know a chap in the USA who once tried the Spearmint Gordon’s and found it repulsive, so I wasn’t too hopeful regarding the results of my experiment. My biggest concern was that the mint would be overpowering, but how did it turn out in actuality? Nose: Primarily leafy mint, sweet peppermint and pine. Taste: Smooth, but not too sweet. 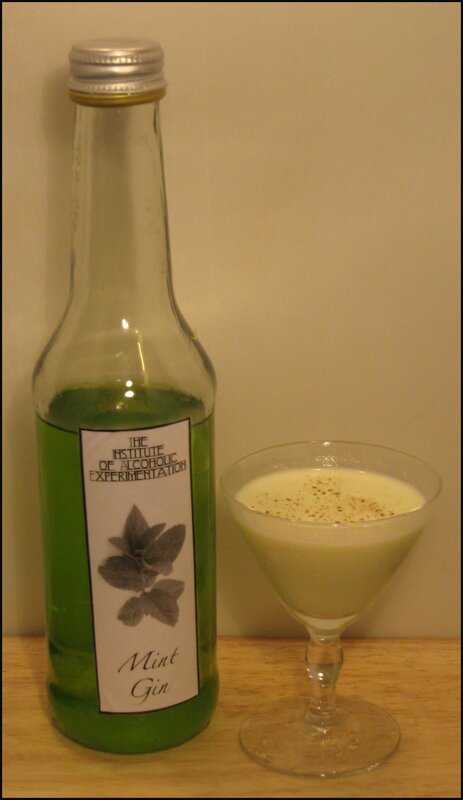 Initially, there was the characteristic flavour of mint, followed by the gin and breath-mint on the finish. This had a long finish, but – overall – was not that great on its own. Cool and crisp, with the menthol making it seem even cooler. This put me in mind of Hercule Poirit’s favourite tipple, Creme de Menthe, a drink that was also favoured by Emille Largo, the Spectre No2 from Ian Fleming’s Thunderball. That said, this drink was definitely more complex and subtle than the Creme de Menthe liqueur, with a distinctly dry finish provided by the juniper. The mint flavour is relatively subtle in this long drink, and it gives the drink a crisp coolness that makes it quite refreshing. 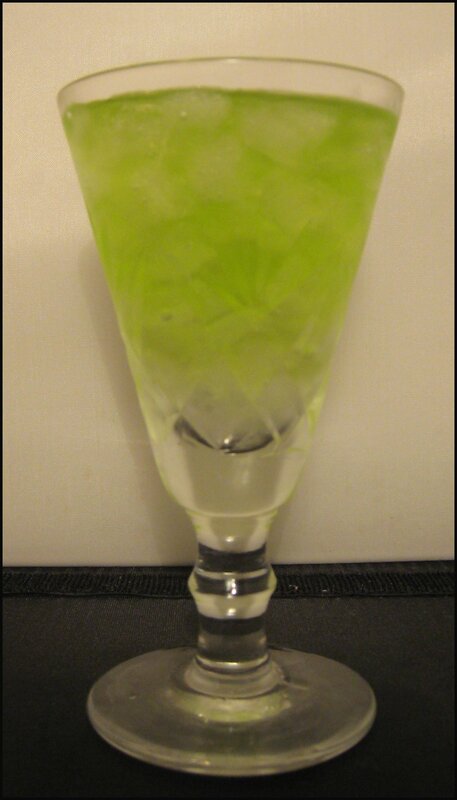 It had a very pleasant green colour and would be good after a meal or during a hot summer. This was a very odd combination; the sweet bit was followed by the dryness of the fortified wines. There wasn’t much synergy, however; the whole drink was one big clash of flavours, really. Not recommended. I really like the colour of this drink: a delicious pistachio green. I like the drink even more; chocolate, mint and cream are well-established companions and that is showcased really well here. A hint of chocolate is picked up by a hint of mint, followed by a creamy, but not heavy, finish, leaving you all ready for your next sip. A nutmeg garnish finishes the drink off nicely. My only wish is that I’d discovered this before Christmas. This made a very dry and crisp drink. I quite liked it; in particular, the way in which it seemed to cleanse the palette. Like the gin on its own, this seems like a dry and more complex version of a Creme de Menthe. That said, I quite like it, but could only really see myself having one at the end of a meal. In contrast to the Alexander, this had an unappealing colour, being a sort of muddy green. That said, the flavour makes up for it somewhat: the sugar and mint worked nicely together and the bitters added a bit of bite, as well as some complexity. If you like the flavour of mint, this may be a drink for you. All-in-all, it was much better than I would have expected. An intriguing mix and an unusual colour. 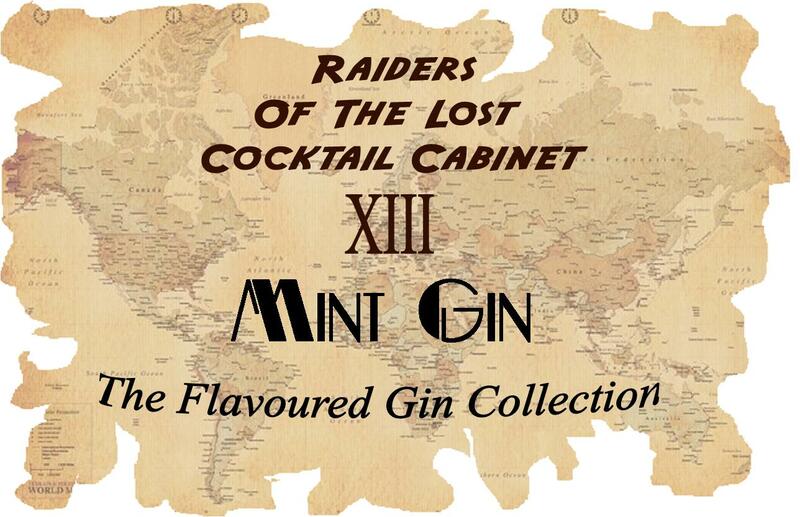 You get the dryness of the juniper and tonic first, followed by a relatively strong mintiness. The Gin & Tonic is a classic drink, but perhaps not when the gin is mint flavoured. It is worth noting that in the days when Mint Gin was introduced to the US, mixing gin with tonic was not a popular choice for the gin-drinking public, so this is unlikely to have been how these gins were drunk.